The Cumberland County Sheriff’s Office Detective Division is responsible for criminal investigations throughout Cumberland County. However, the Detective Division is primarily responsible for the unincorporated areas of the county, or those areas which lie between municipalities. The Sheriff’s Office does, however, have jurisdiction throughout Cumberland County and routinely works alongside and assists municipal police to enforce laws and conduct investigations within towns and cities. The Sheriff’s Office will respond and investigate complaints if specifically requested by members of the public who live in the incorporated areas of Cumberland County. 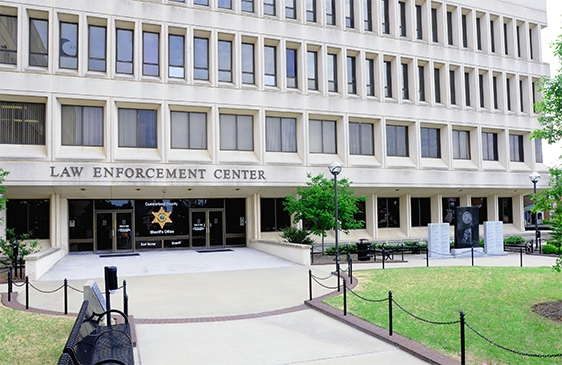 The Cumberland County Sheriff’s Office Detective Division offers diverse criminal investigative services that require a complex, multifaceted investigative technique and strategy. The Detective Division is primarily responsible for the apprehension of felony offenders and suspects who typically commit crimes of such severity that it creates intense public demand for identification, apprehension, and prosecution of the offender. The Detective Division also conducts investigations of misdemeanor crimes where a pattern of this type of offense is apparent. Additionally, the Special Investigations Unit and Property Crimes Unit detectives will routinely investigate misdemeanor crimes as a part of their assigned duty. The Detective Division also maintains a group of deputies assigned the responsibility of functioning as a Crisis Negotiation Team. Selected members of the Detective Division are also assigned to special crime task forces comprised of federal, state, and local agencies to investigate multi-jurisdictional cases and for the apprehension of armed career violent offenders and organized groups of drug traffickers or any other organized criminal activity as needed. All assigned officers prepare investigative files, coordinate with the District Attorney’s Office concerning the prosecution of the cases and testify before the Grand Jury and in Superior Court. All detectives are encouraged to conduct proactive community policing activities in conjunction with their assigned duties. The Detective Division is directed by a Chief of Detectives, who holds the rank of Major and answers to the Chief Deputy. The Chief of Detectives is assisted by the Assistant Chief of Detectives, who holds the rank of Captain and supervises a group of highly trained Lieutenants who are responsible for the day to day operation of each section within the Detective Division.